Well, we are definitely into the third trimester here at 36 weeks! What a blessing that God has sustained our sweet baby girl for all these months! 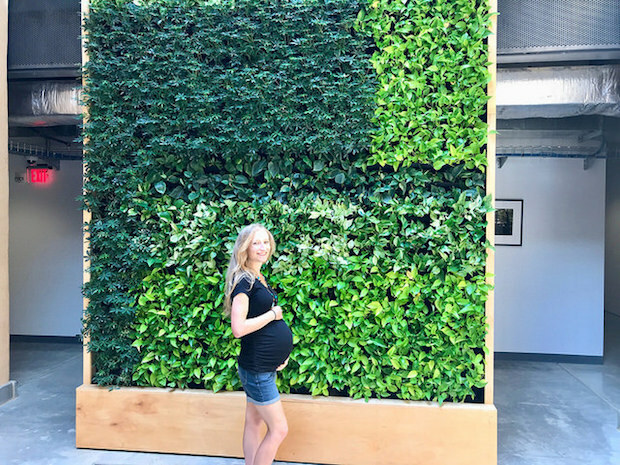 I feel like I have about ten million updates since I last posted about our pregnancy at 29 weeks, so this post may be quite a doozy, haha. Baby girl is doing great! At my last appointment, she measured right on track and her heart rate was in the 120s! She still enjoys kicking, rolling, and moving around, which I just love. 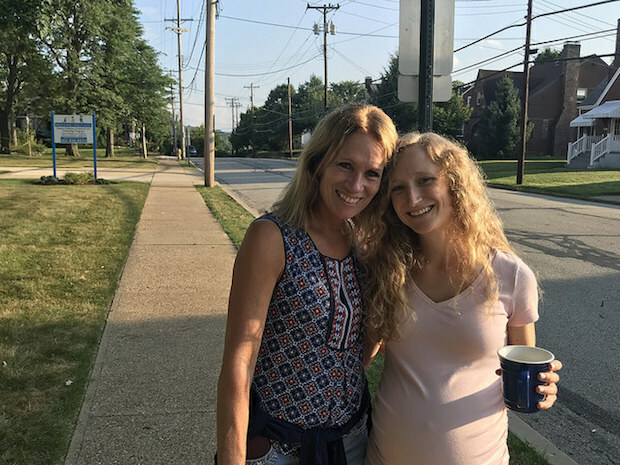 We had an ultrasound around 32 or 33 weeks to check her growth and she was deemed “large for gestational age” at four pounds and nine ounces, which was the 91st percentile for her gestational age. 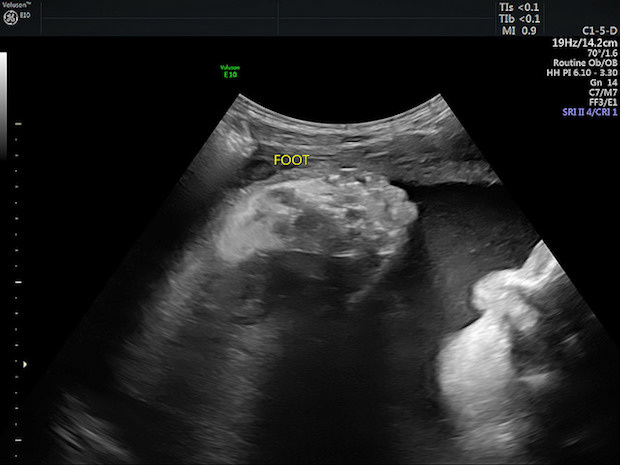 She had her foot up by her face during the whole ultrasound, lol! We have another ultrasound this week to see if she’s still a big girl. Her size is likely due to the gestational diabetes. Once we know more about her size, we will go from there in terms of deciding on delivery options. As for the gestational diabetes, I have definitely had my highs and lows with my blood sugar, but I’m just doing the best I can. Thankfully I haven’t needed any insulin or oral medication! 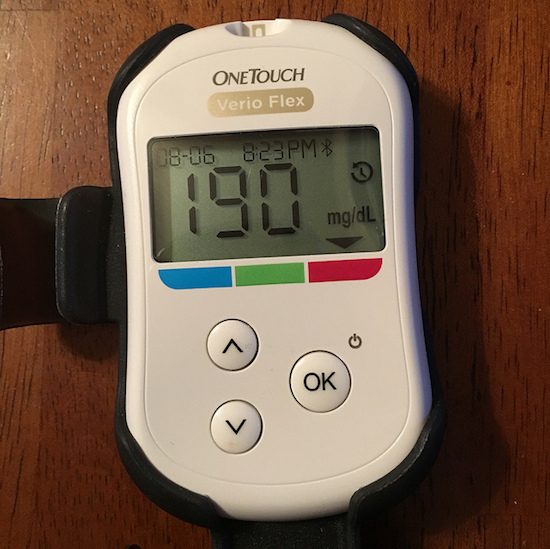 A high blood sugar reading… eek! I also mentioned being anemic in my last pregnancy update. Unfortunately, the anemia has stuck around to the point that my midwives suggested I receive IV iron infusions. I was really nervous about this idea and how safe it was for the baby. We decided to at least get more info, so Jimmy and I met with a hematologist on Tuesday and he really suggested getting the infusions and warned us about mortality rates of moms who deliver with hemoglobin levels around where mine have been and it definitely made things clear. 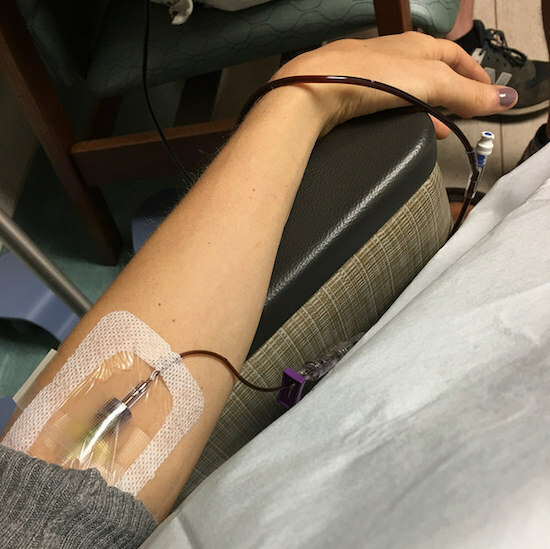 He also assured us that the type of infusions they do for pregnant women are safe for babies, so I had my first of four IV iron infusions on Monday. They have me doing two a week since we’re kind of running out of time in the pregnancy. I feel good so far (I’m writing this post the night of the first infusion), and I’m really thankful that I can receive this type of medical care! Anemic and feeling as haggard and run down as I look during my first iron infusion. The hematologist said I can expect to start to feel better (aka not so tired from the anemia!) anywhere from 10 days to three weeks. We spent a few hours at the hospital getting blood work, talking with the doctor, and getting the actual infusion. The infusion overall took about an hour from when they ordered the prescription to when I was able to leave. I was so glad Jimmy was able to get the morning off of work to drive me there and hangout while I baby and I soaked up some iron! I also found out that I have a hernia that will need to be surgically repaired after I give birth. I’m super bummed about going under the knife (or laser if it’s laparoscopic, lol) after having a baby but we’ll cross that bridge when we get there and our families have graciously offered to help out while I recover! Other than the health issues I mentioned above, I am feeling good! I enjoy being pregnant and will totally miss feeling our daughter kick and move inside me. It’s just so special. At the same time, I’m so excited to meet her! God has taught me so, so much during this pregnancy. First of all: He is in control. That is something I need to be reminded of minute by minute. With the gestational diabetes, anemia, and hernia, I’ve had to accept that things just don’t always go the way I want them to and I can’t control it and it’s okay. It’s good training for motherhood! I know God has a plan and His plan is always, always good. Secondly, I have never felt so thankful, loved, or cared for in my life. Our families, friends, and church family have just loved on Jimmy and supported us in so many ways that I could just cry sitting here thinking about it. God is so good. We’re thankful that though I’ve had a few minor health issues, our daughter has been a trooper and is doing just fine! Praise God! We are praying that she continues to be healthy and will arrive safely in the coming weeks! Amen Amen Praise God so excited! Even with some minor health issues, I feel like it’ll be worth it once baby girl is in the world and healthy. Can’t believe it’s one more month Allie! I couldn’t have put it better myself, Maureen! Thank you so much! I definitely think you will feel SO MUCH BETTER when your iron levels get to a normal level! 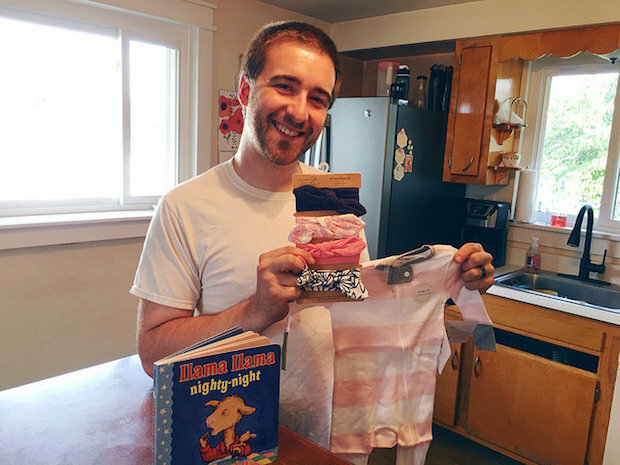 I am so excited for my first little grandbaby to enter the world, and I truly can’t wait to meet her in person!!!!! Ultrasounds are nice… however, thinking of actually holding her is making me feel beyond excited!!! I know you have had a few rough patches, but your attitude and love toward your little bundle is amazing!! You’re going to be a fantastic mom!!! Friend, you are SO close to getting to hold that precious little one in your arms! I am SO excited for you! Those little kicks and feeling her move are so so sweet so definitely soak that up these last few weeks! And I’m so glad you decided to do the iron infusions. I hope your energy levels will be up very soon! Praying for ten days! I can’t believe it! Her due date is coming up FAST! I am definitely soaking up these kicks and rolls and will miss them so much, but actually holding her will be amazing too! Thank you so, so much for your prayers! You are glowing! You look so so so good. Great job growing that baby! I can’t believe you’re 36 weeks – it seems like the time flew by. You are being so strong and have the best attitude in the face of all medical challenges you’ve experienced. I hope the rest of the pregnancy is smooth sailing. Thank you so much, Amy! Time has really flown by! Wow, what an incredibly positive attitude you have maintained through all this! What a beautiful perspective! That is such a bummer about the iron infusions, the hernia, and the trouble with the diabetes! All I can say is how awesome is it that such medical care exists to get you safely through all the complications and bring you and the baby through the delivery. ❤ Keeping you in my prayers, girl! You are just gonna be such an amazing mom! 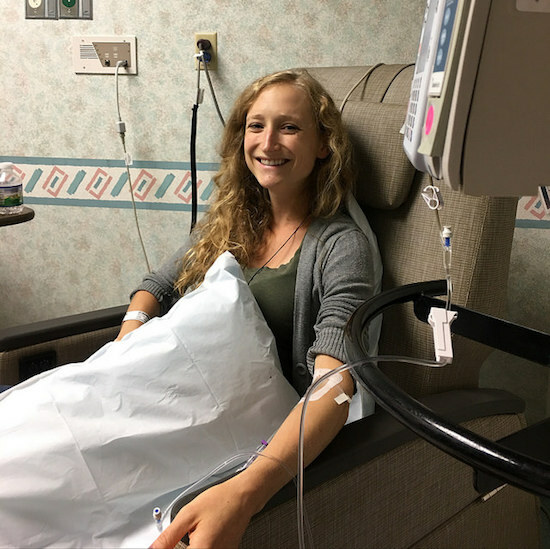 Your bright smile in that infusion picture wouldn’t make me think you are tired at all 🙂 ! Hope your energy is coming back! Awww, thank you P! That means so much!